Home / News / Conor McGregor Arrested For Street Robbery ? Conor McGregor Arrested For Street Robbery ? 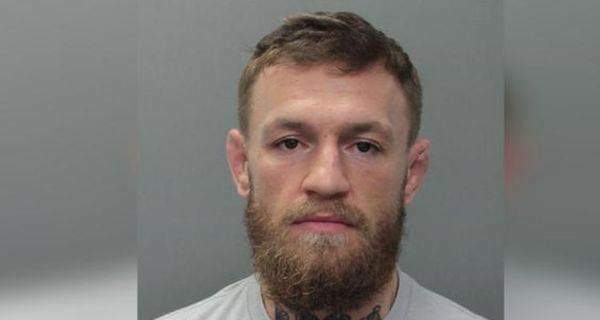 Conor McGregor nabbed police appearance even after last year he was reportedly on physical brawle which sees him attacking UFC bus. Today he just added new felony on his growing mountain of charges. Source revealed to amahiphop that loosed boxer has obvious caught wind of police blue light following his recent robbery. However, TMZ cast the news into the web after Conor McGregor turn assailant on arm robbry. TM. told us Conor smashed a fan phone for taking him on shot. "At around 5 AM Monday, the owner of the phone was walking out of the hotel at the same time as Conor and as the fan attempted to take a photo, Conor slapped the victim's phone out of his hand, causing it to fall to the ground. McGregor then allegedlystomped on the phone several times, damaging it." He was alleged as an arm robbery as he still made away with the smashed cell phone. The same Conor McGregor previously seek for some rounds with floyd mayweather.